Today we welcome author A.L. Waddington to the group/blog! Welcome, so great to have you here! ~Yes, ever since I was young I had always wanted to be a writer. I have always had an imagination that worked on overdrive and I always loved to get lost in my own little world. As a child and adolescent I wrote poems and short stories. In junior high I worked on the school newspaper. I wrote my first novel when I was 20 and my second at 27. I returned to college when I was 31 and got my BS in psychology with a dual concentration in the psychobiology of addictions and clinical rehabilitation. Upon graduation I began writing full time. ~Many factors play into that. The shortest time it has taken me to complete a MS from start to finish was 78 days, What I Really Learned in College, Book 1, With Honors series. The longest was nine months and counting, the fourth book in my EVE series. ~The premise for the EVE series was born out of a very odd dream I had about having the gift of EVE (Essence Voyager Era). When I woke up, I jotted it down, played with it a bit and it grew from there. The premise for the With Honors series began as a humorous antidote between my husband and me from the days when I was in college in my early thirties. ~No, not really. But I do a large majority of my writing at night once everyone has retired for the evening and the house in finally silent. ~Sometimes it’s not easy. At times it’s downright difficult. It’s become a running joke in our home. So much so that when I disappear into my work for hours upon end my husband and children just reply when someone inquires that I’m lost in Denialville. ~I believe strong characters, an intriguing premise, a sense of humor, and witty sidekicks are essential when creating fiction. ~I think the hardest thing about writing a book is discipline. Sitting down and actually doing the work. Putting in the hours, the research required for your characters, your settings, your backdrop, all of it. You have to be well disciplined to devote so much of your time, life, and energy to something you feel so passionate about. ~So far I have completed five novels and almost half of the sixth and three quarters of the seventh. I guess my favorite out of them will always be Essence, Book 1, EVE series because it was the first novel I got accepted for publication. That will always make it near and dear to my heart. ~Jocelyn Timmons, the MC from my EVE series is my favorite simply because she was based off my daughter with her adventurous spirit, thirst for knowledge and willingness to fight for what she believes in. ~Despite the fact that I have an office in my home, I do a great deal of my writing in the family room curled up on the couch under my favorite Colts blanket, with a bag of gummy bears, and my oversized mug of coffee. ~I initially started with a very small publisher where the first edition of Essence was published. Then, luckily I was picked up by a much bigger and better publisher, Booktrope Publishing. 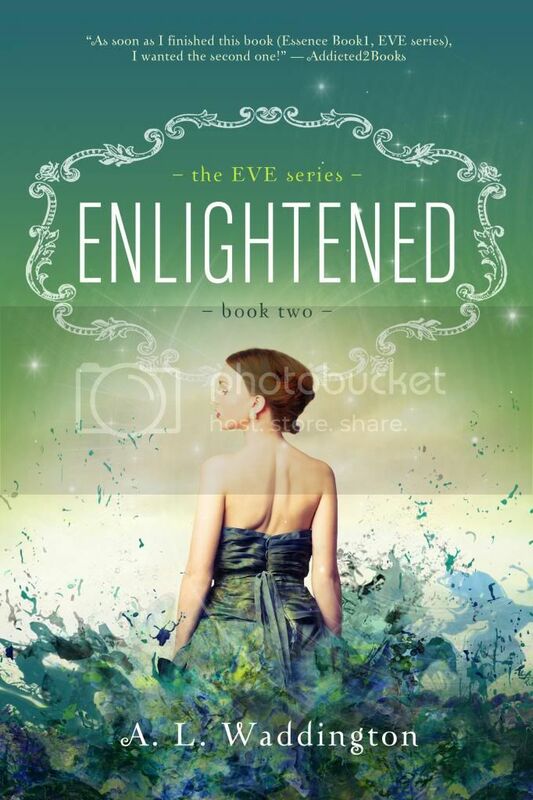 They rereleased Essence in January of this year, Enlightened, Book 2, EVE series in April and launched my With Honors series (with me writing as Addison Winters) in July. The third book, Perception in my EVE series is set to release on October 21 and the second book, Making the Dean’s List, in my With Honors series will release on December 6th. 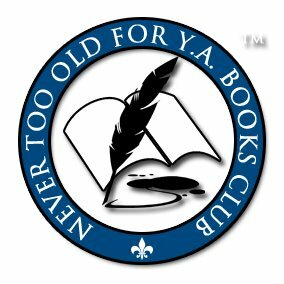 I am very excited to be a part of the Booktrope family and have really enjoyed working with everyone there. ~My family loves the EVE series, especially since so many of them have made special appearances throughout the series. My husband, Ty and extended family have really enjoyed What I Really Learned in College, but none of my children have read it. Despite them all being ‘old enough’ too, it would just be too weird. ~When I’m not writing or doing research, I spend a great deal of time reading. I enjoy reading anything that peaks my interest regardless of the genre. I spend a great deal of time in my gardens, and I love to hike, play basketball, tennis and softball with my family. ~Be yourself. Don’t worry about what others will think. Write what you know. Write what you love. Read often. Believe in yourself and in your work. Don’t ever give up on your dreams! ~My all-time favorite book is ‘Gone with the Wind’ by Margaret Mitchell. My favorite author…well, that’s a little more difficult to answer. I’d be torn between Anne Rice, Stephen King, George R. R. Martin, and Dan Brown. I believe all of the aforementioned have played their part in inspiring me to write and their brilliance has urged me to strive harder. ~My husband and children serve as my sounding board whenever I reach a crossroads or get stuck on something. My editor, Katrina is extremely talented at unraveling my ramblings and understanding gibberish. As for beta reader(s) I use separate ones for each series. For my EVE series, my friends daughter, Abbie, who is a fifteen year old avid reader and extremely opinioned, is wonderful and loves to give her thoughts to every single detail of my books. For my With Honors series, I have a couple ladies, Cheryl and Liang, who love to devour a sneak peek and offer me their thoughts of my work. ~Right now I am working on the second book in my With Honors series, Making the Dean’s List, as well as finishing up the fourth book in my EVE series. Thanks so much for being here today! It was great having you with us! A.L. Waddington completed her undergraduate studies at University of Texas Dallas and Indiana University Purdue University Indianapolis. She graduated from IUPUI with a BS in Psychology. A.L. and her husband, Ty have a son, two daughters, three puppies, and an oversized cat. They reside in Indiana. Essence, Book 1, Published January 16,2014: Jocelyn Timmons does not believe she is anything special — just an ordinary high school senior, living an ordinary life full of school-work, volleyball and friends. She’s about to find out how wrong she is. Present-day Jocelyn uncovers the vast wonderment of the Victorian era but soon learns that life during then was not as grand for women as she has read in the classics. Still, she finds comfort in the support of family and friends; a bolstering contrast to her overly hectic, career-oriented family in the twenty-first century. Her love for Jackson Chandler strengthens across time and becomes the light she so desperately needs as the world she has always known no longer makes sense. Yet, the closer she is drawn to Jackson by their mutual ability, the more strain develops amongst those she loves in 2009. Such a gorgeous cover! Thanks for the interview! !